Operation Care’s Go! Youth Community Center provides a safe place for youth including snacks, games, crafts, books, computer lab, movie days, and more, with respect at the center of their experience. 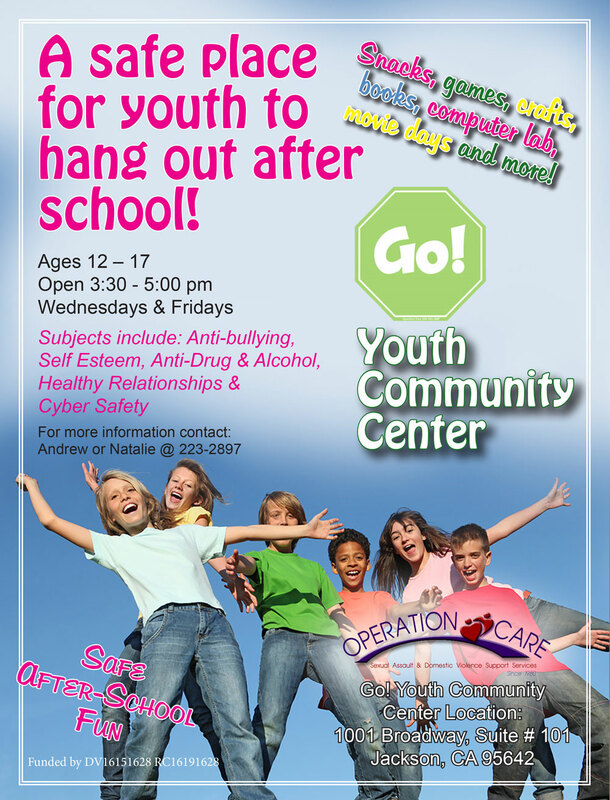 Sign up for our FREE YOUTH PROGRAMS at the Go! Youth Community Center. These programs focus on helping the youth in our community to develop the skills to live violence-free. Groups are fun and full of energy and activity to engage youth and encourage participation. All of our programs are FREE and transportation is available upon request.